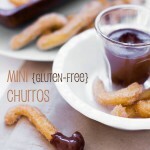 Seriously, it takes less than 15 minutes to make a batch of these delicious Mini Churros. And this simple (gluten-free, if you prefer) choux pastry can also be used to make cream-filled Eclairs and Profiteroles. Oh Em Gee! So cute, aren’t they? And yes, ready to be devoured in under 15 minutes. I was inspired to whip up a batch for datenight dessert the other night because of this this Spanish donut-making video. It makes it look really easy, and hands down, it really is! While I used my regular choux pastry recipe for us, I wanted to make sure I got the gluten-free version right for you also. 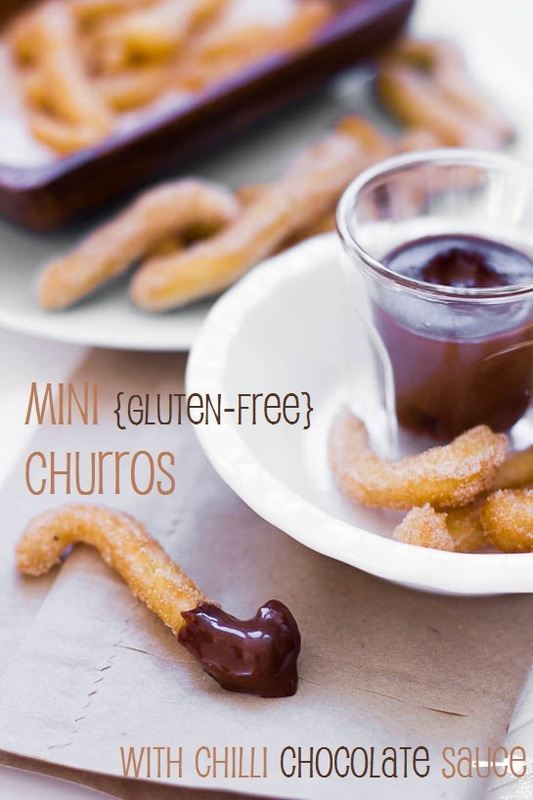 The churros in my photos are in fact gluten-free. The texture of the donuts is so much lighter than the regular flour choux, almost too fragile to handle hence the churros turn out a little squiggly. Delicious nonetheless. Now, naturally, these are not an everyday food eventhough they are so temptingly easy to make. Best enjoyed when friends come over of when you have a datenight with your own special Mr Chipconnoisseur. So, tell me, have you had churros before? Would you make a batch at home? What would you add to the chocolate? This 5 ingredient gluten-free choux pastry is super quick and easy to make - perfect for those Mini Churros, or for eclairs, profiteroles and cream puffs. You will need a piping bag (single use is fine) and a small star-shaped nozzle - mine was about 6mm wide. For a regular version using plain flour, use 1/4 cup of flour and 20g butter, method remains the same. Sift the flours into one bowl. 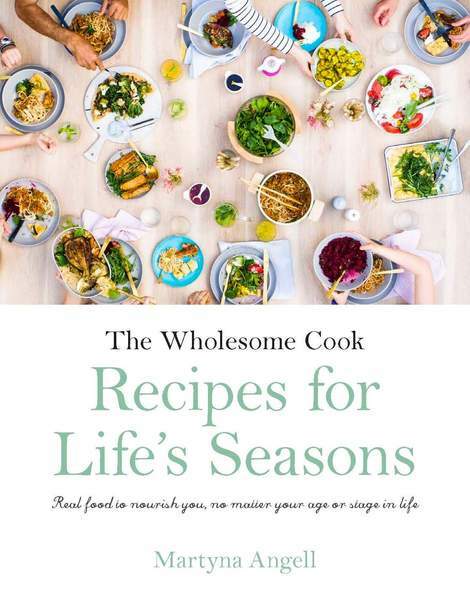 Place water and butter in a small saucepan. Cook over medium-low heat until the butter has melted and the mixture comes up to the boil. Working quickly, remove the saucepan off the heat, add sifted flours, place back on the heat and mix vigorously with a wooden spoon until the mixtures forms a dough ball. Transfer pastry ball into a clean bowl. Add egg and whisk together until the pastry is smooth and lightly glossy. Transfer pastry into a piping bag, twist the end of the bag, squeezing mixture gently into the nozzle. Heat olive oil in a small, shallow saucepan or frypan over low heat - the oil level should only be about 2cm or 1inch deep, until just starting to smoke. Squeeze choux pastry logs into the hot oil, about 5cm or 2inches long, cutting off each churro log with pair of kitchen scissors. Fry 4 to 5 at a time, for about 20 seconds on each side, or until golden brown. Remove from oil onto paper towel using metal tongs. Mix caster sugar and cinnamon in a bowl. Once cool enough to handle, roll your mini churros in the sugar. And they are ready to serve. Place cream and chocolate in a small saucepan and cook over low heat, stirring, until the chocolate has melted. (Alternatively, you can make this in a microwave 2 x 20 seconds). Add chilli and mix well. Oh my! 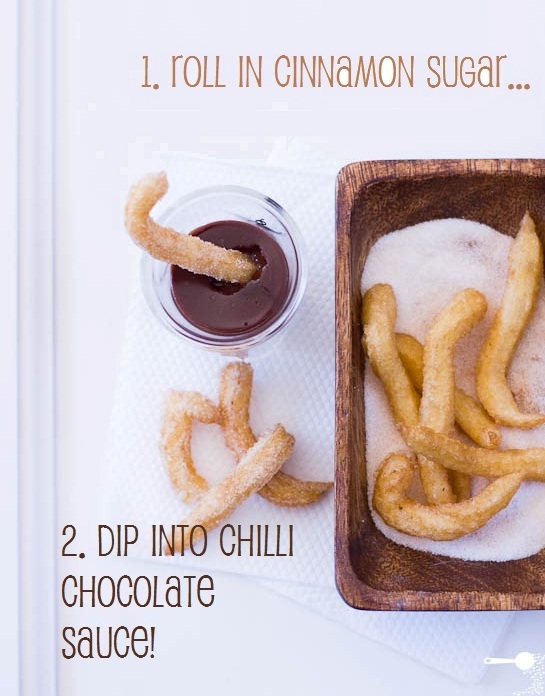 I never knew churros were so easy to make… Adding to my to do list ASAP. Thank you so much for this recipe. My daughter has been diagnosed with a gluten intolerance recently and this will be a great treat for her as she can no longer eat regular donuts. Have a great day. Oh my gosh these look amazing! I love churros! The last time I made choux pastry was when I was in college studying professional cookery, over 20 years ago! 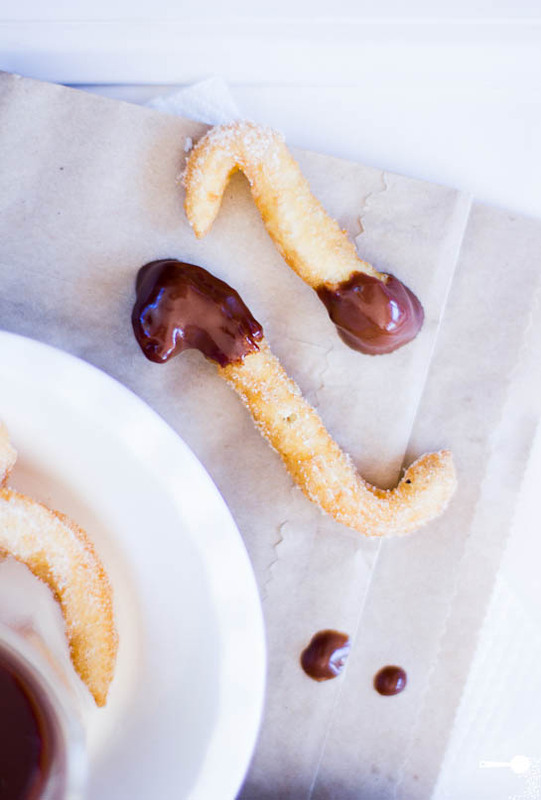 Your churros are just divine and I’d love to try them with both salt and the chocolate. Actually, a little orange zest and cardamom would go nicely in the chocolate as well! Oh yes! Orange zest and cardamom would be a nice addition too. Your churros look fabulous! Lovely photos! Your photos are very pretty. I just want to reach in and grab the churro in the last one. Lots of chilli for me – great idea! These are way to easy for anyone’s good 😉 Loving the orange & cardamom suggestion too! I love churros! I reckon I could eat about 100 of them in one sitting. These look spectacular! I’m with Spencer… I have no “full” switch when I eat churros. I can just keep eating and eating them. 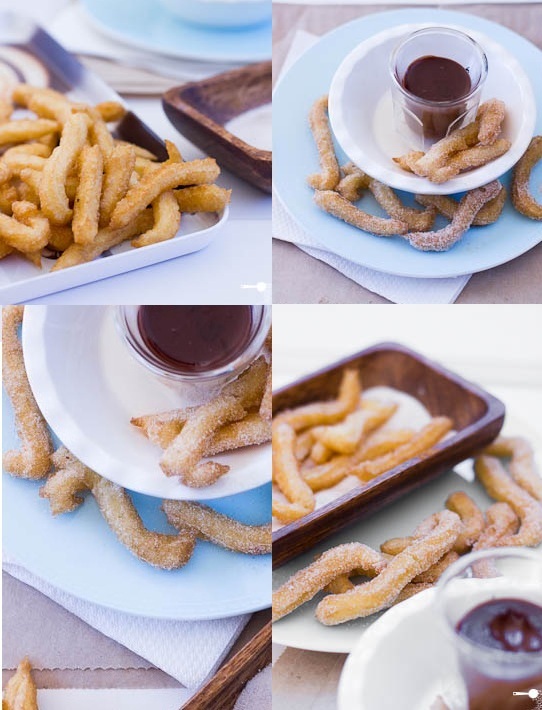 I’ve been looking for an easy churros recipe lately – I’m definitely giving these a go! 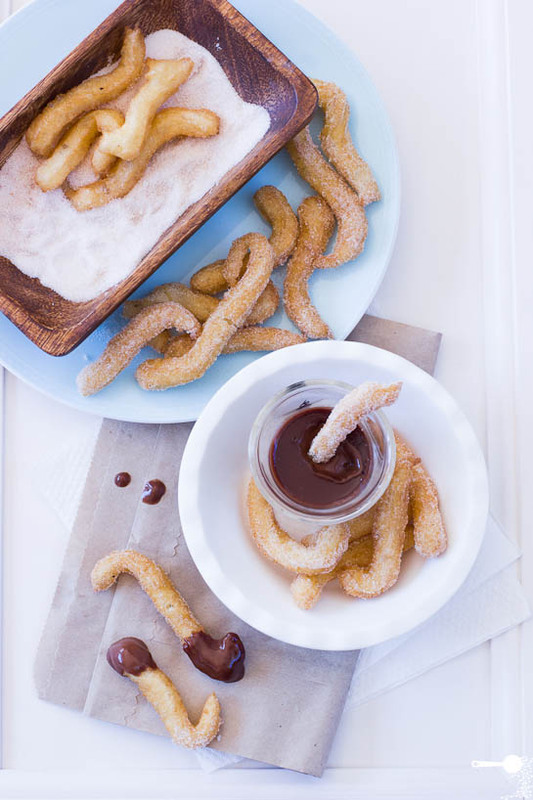 Enjoy – I think churros are that type of food that you just can’t stop at one. Or two. Or twenty. These look amazing! They are sooooo cute. I love my churros covered generously with cinnamon sugar also. With me, you can’t just stop at eating one churro. My hand just keeps going back for more, and my mouth just keeps chewing! Ha! That’s exactly what I thought but seeing that video opened my eyes to how easy they are to make! Yum! So pretty! I love profiteroles, and these look super delicate and delicious! Oooh nutella would work too, just heated up a little… now I’m thinking of making some again! Yay! Glad I could help – they are soooo good! Enojy. Eclairs are my favourite indulgence. PS LOL: I only once before heard the word glutard but have been too scared to use it since I am not one. It would be politically incorrect of me. 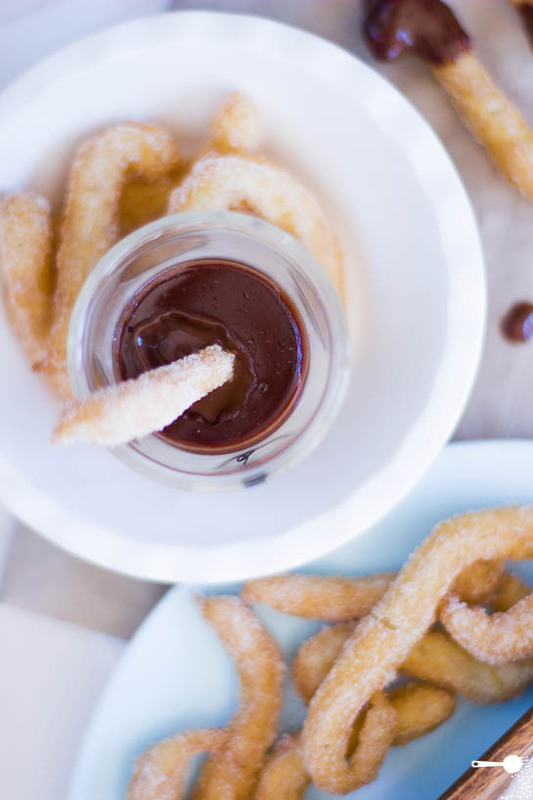 We also offer Churros as a dessert in our restaurant. Good idea to have them gluten-free.